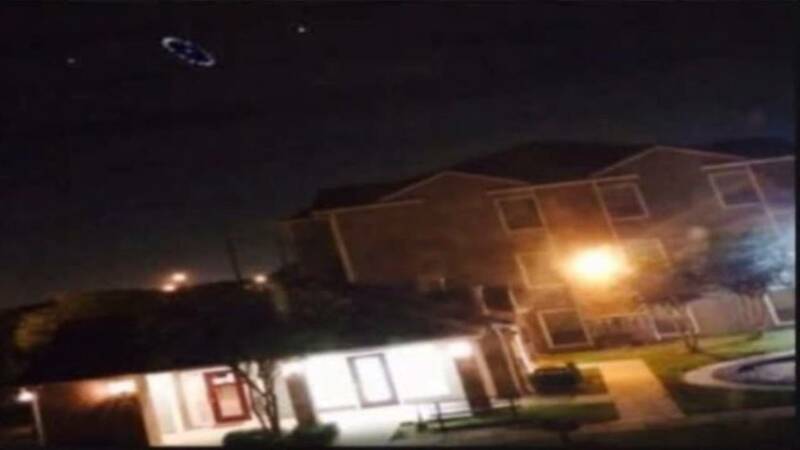 Were there UFOs over Houston? HOUSTON - Pictures posted on Twitter Monday night and Tuesday morning show something floating through the skies over the Houston area. In one, a circular object appears to hover. In another photo, something appears in front of impressive clouds. In a third picture, a lighted circle appears to stand on its side. "I think the trick in UFO's is figuring out what else they could be. It's easy to say that could be the aliens," said Dr. Carolyn Sumners, vice president for astronomy at the Houston Museum of Natural Science. She investigates and is writing a show about UFO's. "If it's a real object and it looks like it is. The more people who see it in different directions, the more likely we are to figure out where it is, what it is and see if we can explain it," Sumners said. She said the rough weather in the Houston area on Monday night could help explain what we saw in the skies over Houston. "All the way back to recorded history, there are going to be things we can't explain. That's what makes it exciting," she said. For now, what some consider a UFO remains unidentified.